Musician, educator, researcher, Thomas’ work lies in those spaces between Irish traditional music, music education practice and policy, community music, ethnomusicology, and performing arts for children and young audiences. Thomas currently lectures on Irish traditional music and music education in St. Patrick’s College Drumcondra, Co Dublin. He has previously guest lectured at the Irish World Academy of Music and Dance (University of Limerick), Marino Institute of Education, Froebel Department of Primary and Early Childhood Education (NUIM), and Mary Immaculate College (University of Limerick). He has previously served as Assistant Chair of the Society for Music Education in Ireland (2013-2015) and Education Officer of the International Council for Traditional Music Ireland (2009-2012). 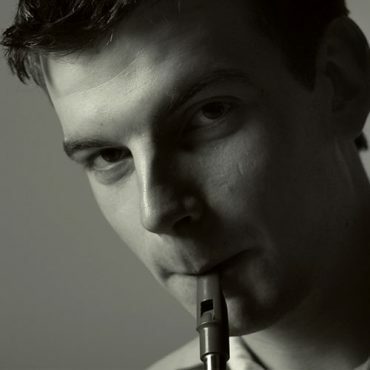 His PhD (funded by the Irish Research Council at the University of Limerick, 2013) entitled ‘The Bloom of Youth’ was an investigation into the place of Irish traditional music in post-primary music education in Ireland. Ultimately, it developed a model of ‘educative experience’ which can support post-primary music teachers and students in creating meaningful experiences of traditional music in this context. In 2015, Thomas completed a two-year Post-Doctoral Research Fellowship with Music Generation (Ireland’s national Music Education Programme) in partnership with St. Patrick’s College Drumcondra. In recent years, Thomas has gained expertise as a musician in the area of music for young children. He has worked, for example, with organisations such as Learning Hub Limerick, Common Ground, Music Network, Early Childhood Ireland, The Base Ballyfermot, and Arad Goch Theatre (Wales). Other related work includes music workshops at The Ark (‘Tiny Traddies’, ‘Circus Sounds’, and ‘Small Sounds’), and designing professional development workshops for various early childhood care and education providers. 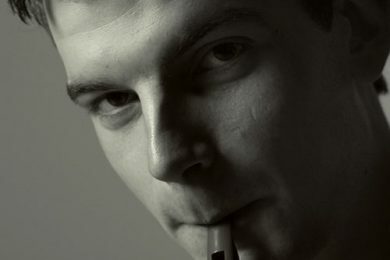 Most recently, he developed ‘The Quiet Tree and the Creatures of Whistleberry Forest’​, a traditional music performance experience for young children (aged 2-6) which has been performed at festivals including Lollipop’s Children’s Arts Festival (Roscommon), Opening Doors International Festival of Performing Arts for Young Audiences (Wales), and Fleadh Cheoil na Éireann (Sligo). He is currently developing shows for young audiences with a range of exciting artists which include ‘The Far Field’ (in partnership with Scoil Cheoil na Botha and with support from the Traditional Arts Commissions Award), ‘The Wonderful Tune’ (with support from the Arts Council’s Deis scheme and DCC Arts Office), and an interactive and immersive multi-sensory performance for very young children with Helium Arts in partnership with the Jack and Jill Foundation. His most recent musical endeavours includes composing, directing and performing a musical score for ‘Béal na Farraige’​, a short-film project with Púca Puppets and Beyond the Bark (in development) and recording with Kathleen Turner for her debut EP ‘Some Stories’​.